In the late 1950’s and early 1960’s, Anthony “Tino” De Angelis ran a global salad oil empire. Find out how Tino grew his business so quickly, his shocking downfall, how JFK’s assassination ties into the story, and the way that one of the world’s richest men today made a good chunk of change off of everyone else’s misfortune. Today’s word of the day is commodities. No, I’m not going to give you a long lecture on how they work or how to invest in them. I am far from an expert on the topic. If you are not exactly sure what a commodity, it’s probably best, at least for the purpose of today’s story, to think of them as a raw material that can be purchased, processed, and then turned into something that we can buy. Examples would be wheat, corn, cattle, oil, gold, and so on. 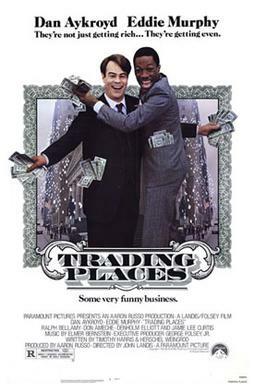 The first time that I recall ever hearing about commodities was back in 1983 while watching the movie “Trading Places” with Dan Akroyd and Eddie Murphy. In that story, the Duke brothers, played by Ralph Bellamy and Don Ameche, attempt to corner the frozen orange juice market using insider information. In the end, the two are financially ruined. Trying to corner the market on a commodity is not something that I suggest you ever try to do, no matter how rich you may be. It typically doesn’t end well. It didn’t work for the fictitious Duke brothers or in real life when the Hunt brothers attempted to corner the silver market in 1980. Another great example, and one that is mostly forgotten today, was the attempt of Anthony “Tino” De Angelis to corner the vegetable oil market back in the early 1960’s. Born in Harlem, New York on November 3, 1915, young Tino seemed like the most unlikely candidate to become a powerful force in the business world. Tino quit school at the age of sixteen and then borrowed $500 from his father (approximately $8,200 today) to invest in a candy store. 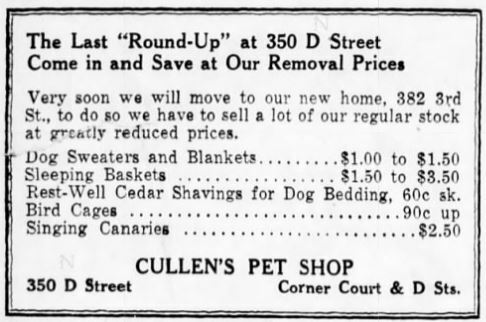 Probably not the best of investments during the Great Depression and soon he had lost everything. This would prove to be only a minor setback and soon Tino moved on to work in a meat and fish market, where he was promoted to manager within three years. He quit after getting in a big huff with his boss and soon found employment as the foreman of a large hog processing company in the Bronx. Hog processing may not be what most people consider to be a glamorous profession, but Tino was moving up in the world of power and big money. On August 1, 1938 he married Vincenza Bracconeri, Americanized as Virginia, and the newlyweds proceeded to move into an apartment in her parents’ house and soon had a son named Thomas. In 1938, 23-year-old Tino decided to venture out on his own and invested $2,000 in savings into M&D Cutters. He claimed to have cleared $300,000 by the third year, which would be over $5-million today. 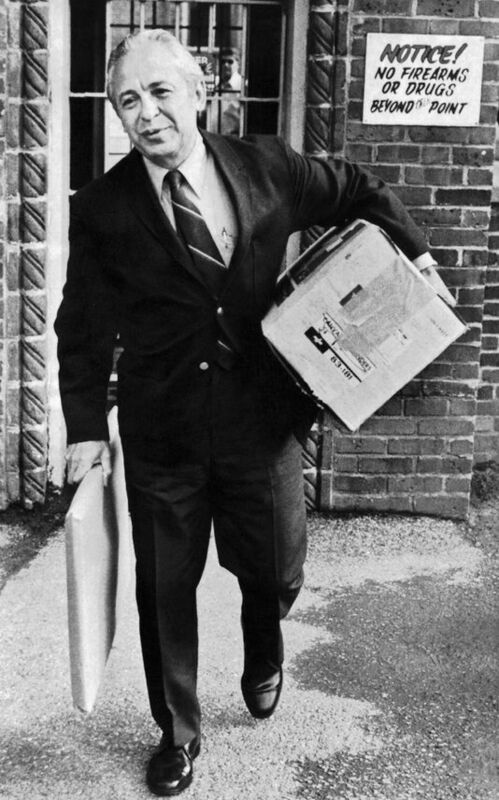 After World War II ended, Tino launched a new firm more appropriately titled De Angelis Packing Company in North Bergen, New Jersey. With Europe recovering from the ravages of war, Tino astutely predicted that there would be great profit to be made in exporting U.S. produced goods. In 1947, Tino secured a contract with the Yugoslav government for $1 million worth of lard. After delivery, they turned around and sued Tino for delivering a substandard product. His firm had to pay the Yugoslavs $100,000 to settle the complaint. His next move up the corporate ladder occurred in 1949 when Tino purchased controlling interest in the Adolph Gobel Co. meat packing firm, also located in North Bergen. He immediately installed himself as company president and was once again accused of delivering an inferior product. In this case, Gobel had a contract to provide 18,900,000 lbs (8.6 million kg) of smoked meat for the federal school lunch program. The feds charged that he delivered 2,000,000 lbs (over 900,000 kg) of uninspected and unusable meat that was falsely weighed, resulting in over-payment of $31,000. Gobel was required to pay a $100,000 fine and the company was prohibited from bidding on future government contracts. By July, 1953 Gobel was bankrupt and De Angelis was ousted as president. 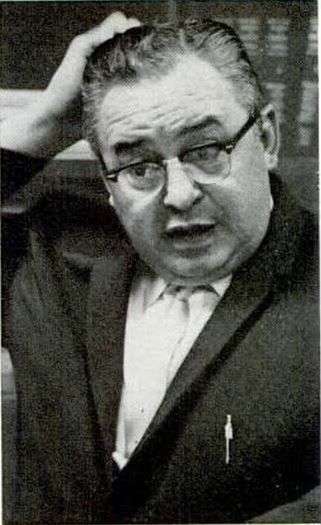 Image of Anthony "Tino" De Angelis from the April 3, 1964 issue of Life magazine. 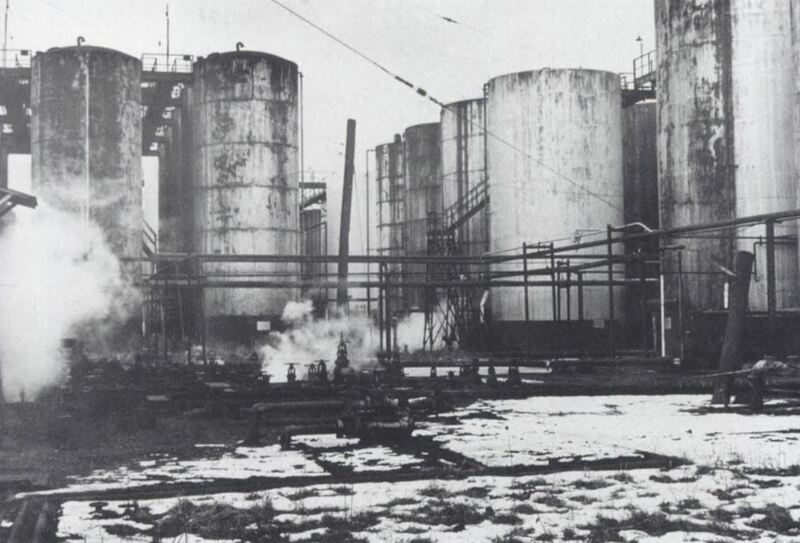 On November 14, 1955, De Angelis started the company that would forever place him in the history books: the Allied Crude Vegetable Oil Refining Corporation in Bayonne, New Jersey. Tino was making a risky bet here: At the time, giant, well-financed corporations in the midwest crushed and processed beans into vegetable oils near their source before shipping the finished product down the Mississippi and then off to their final overseas destinations. The catch was that these conglomerates didn’t secure the foreign contracts. This was done by separate export companies. Tino’s idea was simple: he would have the unrefined oils shipped to Bayonne, process them into a final product, and then sell the oil with a small profit to the export companies. His price would be so low that none of the big Midwest players would dare try to enter the foreign market. It worked, but no one could figure out how Tino made a profit. There is that old motto in business: Buy low and sell high. Tino seemed to be doing the reverse. He was paying more than anyone else to purchase the crude vegetable oil in the Midwest, paid the rail freight to have it all shipped to the East Coast, processed it, and then sold it to the exporters at prices lower than any company could match. Allied grew rapidly and soon Tino had set up at least a dozen other affiliated companies with names like Trans World Refining Corporation and the Shortening Corporation of America. Catchy names were clearly not Tino’s forte, but by the late 1950’s his companies supplied an estimated 75% of all of the edible oil that was shipped overseas. Total annual revenue exceeded $200 million (over $1.7 billion adjusted for inflation). In fact, Tino was doing so incredibly well that when Adolph Gobel emerged from bankruptcy in 1958, its creditors insisted that Tino be reinstated as company president. This was a bad move. Just four months later Tino was indicted for perjury as the result of a Securities and Exchange Commission investigation into the claim that Gobel borrowed money using lard inventory that had never existed as collateral. The whole case collapsed when the star witness changed his testimony. If that wasn’t bad enough, next Tino was charged with not paying $1.5 million in income tax. In the end, Tino agreed to pay the U.S. government a lump sum of $50,000 plus $5,000 every three months for the next ten years. His bad dealings continued. In 1960 the US Department of Agriculture contended that Tino and his conglomerate of companies had duped the government out of $1.2 million. As a result, all of Tino’s businesses were banned from participating in the Food for Peace program, which was started in 1954 to send surplus US crops around the world to those in need. The Food for Peace program was a major cash cow for Tino, so it should come as no surprise that Tino paid $1.5 million to settle that claim and have all of his companies reinstated. This was a bad decision on the government’s part. For a one-year period starting in June 1961, Tino’s Shortening Corporation of America shipped $70 million (over $575 million today) worth of shortening and vegetable oils as part of the program. Every can proudly bore the words “Donated by the people of the United States of America.” They wouldn’t be proud of what Tino shipped. In an effort to cut costs, inferior quality cans were used and soon warehouses all around the globe were filled with leaking cans of rancid oil. The federal government lost every penny that it had spent. Tino always blamed everything on someone else and this was no exception. Tino claimed that there was nothing wrong with cans. The real problem was that the government didn’t heed his warning that the cans needed to be stored in air conditioned warehouses. Director of Food for Peace George S. McGovern with Bashir Ahmad, Pakistani camel driver. 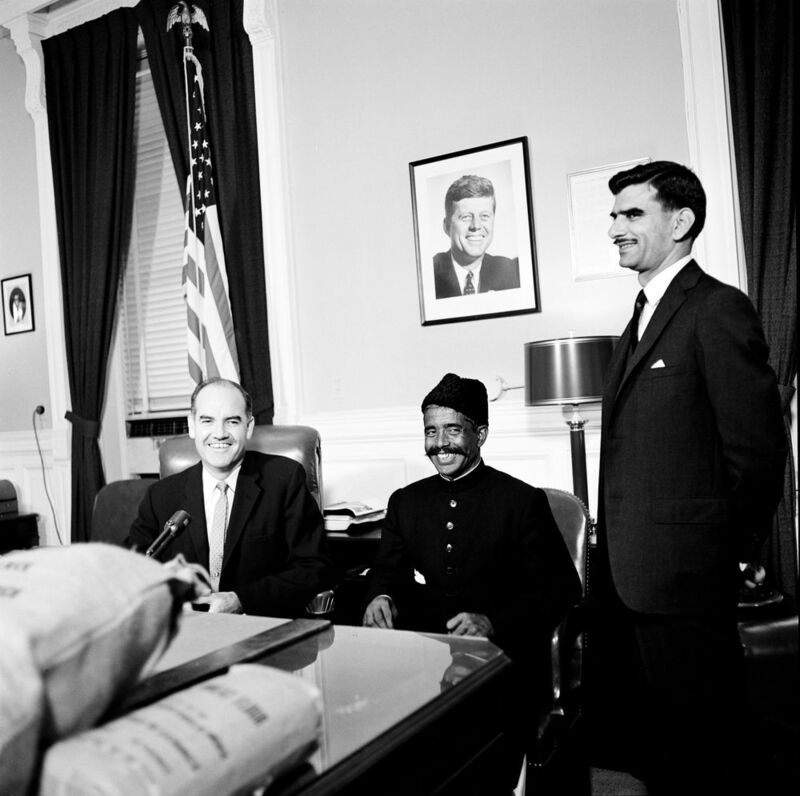 Be sure to check out my story on Ahmad in UI #43 - Lyndon Johnson's Camel Driver. Image from the John F. Kennedy Presidential Library and Museum. One of the problems of dealing in such high volumes of oils is that you need a large, constant cash flow. 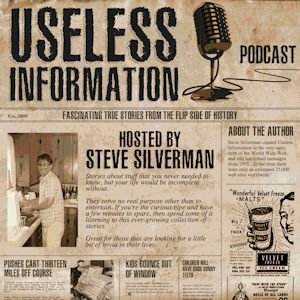 So, let me ask you a simple question: Knowing everything that you just heard about Tino’s reputation, would you lend this guy any money? I am hoping that your answer is no. And that was the case for some banks and creditors, but you can be sure that as long as the money kept rolling in, companies were lining up to lend Tino money. For collateral, Tino had one major thing that he could use: all of the vegetable oils that he had stored in those humongous tanks at his Bayonne facility. Of course, there is no feasible way to physically give another company millions of gallons of oil as collateral. I can’t think of any lender that has the facilities to store it. Instead, the industry does something known as field warehousing. In simple terms, you hire an independent company to come in and verify that the oils are truly in the tanks and then they take total control of those tanks. The field warehousing firm then issues what is known as a warehouse receipt – proof that the commodity really exists – which, in turn, can be taken to a lender and used as collateral. Should the borrower default on the loan, the lender who has that receipt owns the oil and can sell it to get its money back. Tino used the services of two field warehousing companies to operate his business. The first has a very familiar name: American Express Field Warehousing Corporation. Started in 1944 as a way for its parent company, American Express (of credit card and travelers check fame), to earn more money, this small subsidiary was never profitable until Tino’s cousin Michael De Angelis walked into company headquarters in 1957 and hired them. As Allied grew, the company required the services of a second warehousing firm and chose the Harbor Tank Storage Company to do the job. At the peak of Tino’s operation, the two companies would issue warehouse receipts for more than 1.8 billion pounds (over 840 million kg) of oil worth over $175 million (over $1.4 billion today). That’s a lot of oil! Not only were Tino’s businesses doing incredibly well, he was personally rolling in the dough. He was never one to live a lavish lifestyle, but he was incredibly generous to his immediate staff. Each was paid $400 per week ($3,200/week today) and nearly all drove in Cadillacs paid for by Allied. Some did real work, but others did little to nothing. Tino just liked having these people around. Perhaps no one did better than a twice-divorced mother of four named Lillian Pascarelli. She received the obligatory Cadillac, a very large down payment on a house, an annual salary of $25,000, plus $100/week from an Allied affiliate. Her job? Social hostess. You can fill in the blanks there. Tino always denied that there was anything but a professional relationship between the two, but the fact that they ended up married many years later suggests otherwise. In August of 1961 Allied landed its biggest contract ever. The Spanish government agreed to purchase 275 million pounds of oil for $36.5 million. The problem was that Tino had less than 20% of that much oil on hand. He turned to his buyers and told them to start buying heavily in the soybean oil futures market. Once nearly all of the oil had been purchased, the Spaniards canceled the contract. At first, Tino had to sell off the oil below cost to cover his expenses, but some good news was on the horizon. The Agricultural Department predicted that exports would reach record levels in 1962. Tino continued purchasing oil, even though the government kept lowering their export prediction. At some point Tino realized that there was a better way to do this. He decided to corner the market on soybean and cottonseed oils. Tino would then sell the oils back to other firms while the price was high and clear a magnificent profit. In order to do this, he needed to create the sense that the oil was in high demand. Initially he had friends and family members do the purchasing, but he needed that wasn’t enough. He soon starting setting up dummy companies and hiring outside brokerage firms to increase the volume. By November 1963, Tino had purchased 22,600 contracts for $160 million (approximately $1.3 billion today), but the problem was that Tino’s attempt to corner the oil market totally destroyed any chances that he had ever had at landing a large contract. Who in their right mind would buy a large amount of oil at record high prices? The answer was no one and, even worse, vegetable oils are perishable and can’t be stored away like gold or oil. Tino’s house of cards began to collapse on Friday November 15, 1963. An inspector from the Commodity Exchange Authority walked into Tino’s Bayonne office and demanded to see the books. Right around the same time, the U.S. Senate made the decision to halt negotiations over the export of wheat to Russia. Speculators took this as a sign that the demand for soybean and cottonseed oil would also drop. Almost immediately a big selloff began and the prices began to plummet. The odd thing about commodities is that they are purchased on margin, which means that little money is needed to do so because the actual raw materials themselves are used as collateral. Should the market drop, then your purchases no longer fully cover what you owe the exchange. You have just twenty-four hours to pay that difference. Tino’s business empire was about to be destroyed. His brokers called and told Tino that he needed to place more funds into his margin account to the tune of around $20 million (about $163 million today). He didn’t have that kind of cash laying around. Tino made a call to his lawyer that weekend and Allied was placed into voluntary bankruptcy. At this point no one was overly concerned. After all, everyone had those warehouse receipts for the various oils sitting in Tino’s tanks. All they needed to do was sell off their oil and their losses would be minimal. Right after the bankruptcy was filed, officials at the Bunge Corporation, which was one of Tino’s largest exporting customers, became concerned about several large bounced checks that they had received from Allied. Inspectors were sent out to the Bayonne tank farm to certify that the $15 million dollars worth of soybean oil that they had receipts for were intact. As the inspectors made their way through the seemingly endless maze of giant storage tanks and endless piping, they finally located the four tanks that were assigned to Bunge. They did find one tank that was completely full with what appeared to be soybean oil, but were shocked to find that one tank was half full and the other two were totally empty. Welcome to: The Case of the Missing Oil. Bunge immediately contacted American Express Warehousing to find out where the missing oil was. Could the inspectors have looked in the wrong tanks? Or was the oil moved? The answer that Bunge received from American Express only deepened the mystery. American Express claimed that Bunge had already signed off on the oil, so they had released it back to Allied two days earlier so that they could sell it. Once word got out about the missing oil, other companies began to wonder if their oil could also missing. It took quite some time to take inventory, but within the next week it became clear that Tino had pulled a fast one over on the financial industry. Little oil was found in any of the tanks. Most of the tanks were found to be filled with seawater, sludge, gasoline, or, even worse, they didn’t exist at all. Tino had been dealing in phantom oil. There should have been at least 1.8 billion pounds of oil in the those tanks, but after the counting was done only 110 million pounds was located. Even worse, half of what was found was in soap stock, the residue left over after the salad oil is refined. Wall Street was about to face its worst financial disaster since the 1929 stock market crash. Two highly respected brokerage firms – Ira Haupt & Co. and J.R. Williston & Beane, Inc. – were on the hook for a lot of money that didn’t exist. Haupt had borrowed more than $35 million from banks to cover Allied’s unmet margin calls, money which Tino did not have to pay them back with. They also had a large number of Allied’s warehouse receipts, which had just been proven to be worthless. Even worse, Haupt had borrowed more than $100 million to purchase securities on margin for its other customers. 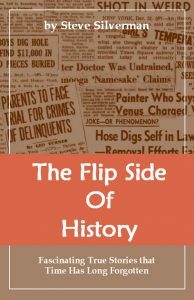 For only the second time in its history, the New York Stock Exchange suspended the accounts of these two brokerage firms, which also meant that until everything was straightened out – and that could take years as the legal cases wound their way through the courts – none of the nearly thirty-thousand clients of these two firms could trade or sell their stocks. While this disaster wouldn’t have caused economic collapse globally, it certainly would have shaken the foundations of the stock market. A sudden drop in the financial markets was almost certain to start frenzied selling. Something needed to be done quickly, but there was little time. 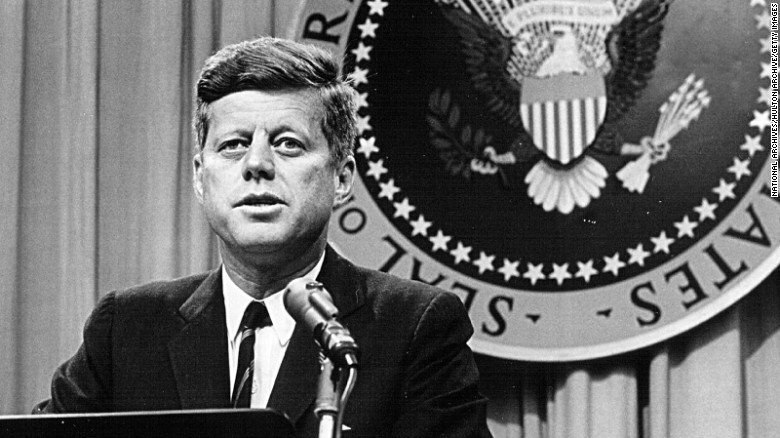 The stock market had already been badly rattled when on November 22, 1963 the unthinkable occurred: President John F. Kennedy was assassinated. The market began to plunge and the decision was made to close the stock exchange 83 minutes early. It remained closed on Monday allowing officials more time to secretly work behind the scenes in an effort to prevent panic and collapse of the market. The late US President John F. Kennedy. An agreement was reached to permanently shutter the Ira Haupt brokerage firm. Other members of the stock exchange each kicked in enough to save the accounts of all of Haupt’s customers. Williston & Beane wasn’t in as bad shape, so the financiers put together enough funding to make the company operational again. By the opening bell on Tuesday, a crisis had been averted. So just how did Tino do it? It all ties back to those warehouse receipts issued by American Express and Harbor Tank. These were intended to certify how much oil Allied physically owned. The reality was that Tino and his staff were forging receipts. Yes, there were legitimate receipts, but most were not. As Allied needed more and more money, they simply created more receipts to use as collateral. At the time of Allied’s collapse, it was estimated that fifty-one different companies held $175 million (approximately $1.4 billion today) in counterfeit receipts. As hard as it is to believe, both warehousing companies had hired Tino’s men to secure, inspect, and inventory all of the tanks. That’s like hiring the fox to guard the henhouse. They forged paperwork, read off phony tank readings to AmEx workers, and took full advantage of the oldest trick in the book: that oil floats on water. Many of the tanks, when fully drained, were found to have been filled with 40-feet of water capped with 2-feet of oil floating on top. And that’s not all. When Tino hired Harbor Tank, he let them certify tanks for which American Express had already issued receipts, effectively doubling the volume of what he had in inventory. Even worse, Tino took claim to tanks on the farm that he had never leased in the first place. Some were filled with gasoline the entire time while others were in such bad shape that they were permanently out of commission. Of the 41 tanks that Harbor Tank thought that they owned, 23 were filled with petroleum oil, 7 were unfit for use, and 1 never existed at all. That means that only 10 were legit, yet none had any vegetable oil in them. It’s not that American Express hadn’t been alerted to potential problems. All the signs were plainly visible, but the thought of big profits clouded their eyes. Word on the street for years was that there was a lot of trickery going on at Allied. In June 1960 AmEx received a phone call from a man named Taylor who worked the night shift at Allied. He claimed that water was in the tanks and that tank number 6006 had been built with a hollow metal column that ran from top to bottom and was filled with oil for sampling purposes. The remainder of the tank’s volume was supposedly filled with water. American Express sent investigators out to check the tank and found no problems. The fact that Allied required twenty-four hours notice before any inspection could take place probably allowed them to do the old switcheroo beforehand. When tank 6006 was finally opened after the Allied collapse, it took twelve days to drain and contained nothing but worthless saltwater. 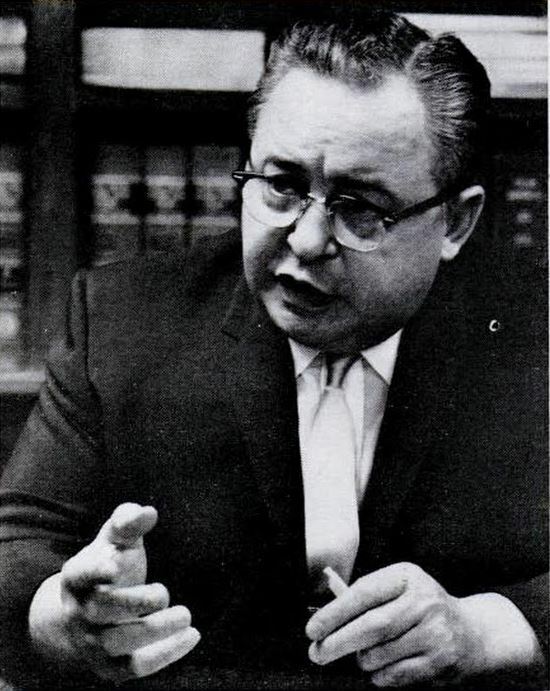 Image of Tino De Angelis from the October 25, 1968 issue of Life magazine. Bunge, the company that initially discovered the missing oil, would loan Allied up to $20 million at a time to purchase crude oil for refining. When it was time to pay Bunge back, an Allied messenger would pick up a cashier’s check, sometimes for $1 million or more, and hand it off to officials at Bunge. In exchange, Allied would get their oil receipts back. What Bunge didn’t know was that Tino had an inside guy. He had planted a man named James Caterina into their financial department. When the check was handed off to Caterina for depositing, he would leave his office and meet up with the messenger in the hallway or bathroom to give the check right back to him. The messenger would then race back to the issuing bank and cancel the check. Caterina was able to cook the books, preventing Bunge from catching on to the swindle until it was too late. This scheme alone cost Bunge over $6.8 million. As you can imagine, lawsuits were flying in from all directions. It seemed like everyone was suing everyone else. At one point more than 200 lawyers were working on the case. American Express was faced with a total of $210 million in lawsuits, so it had no choice but to place its subsidiary into bankruptcy. While it was under no obligation to do so, since the warehouse receipts were mostly fraudulent, American Express agreed in April, 1964 upon a plan to reimburse approximately $60 million. Allied’s demise triggered the failure or bankruptcy of more than twenty different companies. To this day no one can say where all the missing oil or money went. Estimates typically put total losses to everyone involved at over $200 million. Long rumored, but never proven, it has been thought that Tino was backed by the mob. FBI wiretaps of several members of the Mafia placed Tino’s profit from the swindle over its entire run at $438 million (over $3.5 billion today). When Tino was arrested, he faced what was believed to be the largest amount ever set for bail up until that point. Harbor Tank had filed a $46.5 million dollar claim against Tino and invoked a seldom used law that required a person to post bail equal to the amount that he had been accused of defrauding. The judge sensibly reduced bail from $46.5 million to $150,000, which Tino claimed not to have and was forced to stay in jail. It should come as no surprise that several months later it was discovered that he had $500,000 hidden in a Swiss bank account. No other funds were ever recovered. Anthony Tino De Angelis leaving prison after serving seven years. It wasn’t long before Tino was back to his old tricks. He ran a group of companies with such great names as the Rex Pork Co, Miller Pork Packers, Meadow Meats, and Prime Protein Pigs. Since he was indebted to the IRS for over $8 million, Tino didn’t own the businesses, but everyone knew who was in charge. In 1980, after cheating farmers and suppliers out of an estimated $13 million, Tino found himself back in prison serving an additional seven years for racketeering, conspiracy, and mail fraud. Three years later, Tino was once again paroled with the stipulation that he have no direct or indirect financial interest in the pork industry. Image of Tino De Angelis from the April 7, 1984 issue of the Ithaca Journal. Anthony De Angelis, the self-proclaimed salad oil king, was 93-years-old when he passed away on September 26, 2009. One can’t help but wonder where all that money went. Hopefully he buried it all in a watertight container in my backyard. I’ll leave you with one final piece of the story. When Tino’s oil empire collapsed, there were many who thought that American Express was finished. It’s stock price was cut in half virtually overnight, but there was one man who saw great potential in the company. After checking out local banks, hotels, and restaurants, he saw that the scandal had no effect on the use of American Express travelers checks or credit cards. He was certain that the company was financially sound and would recover quickly. He made a very big bet by investing $13 million, which was 40% of his partnership’s capital, in American Express stock. It was the largest single investment that they had made up until that time and it paid off handsomely. Two years later the stock had tripled and they pocketed a cool $20 million. That man is none other than billionaire Warren Buffett.